As much as I like cooking, going out and experiencing new cuisine is another thing I love to do. When I go to a Japanese restaurant I love to order the dish call agedachi tofu. 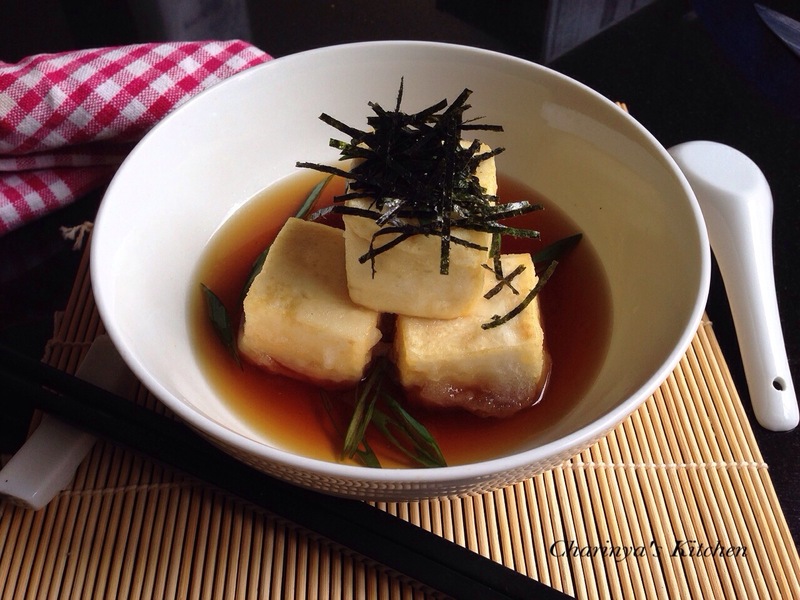 Agedashi tofu is a traditional Japanese tofu dish, which is deep fried and served with dashi-based sauce. I’m happy with the result, which tastes just like what I got from the restaurant. 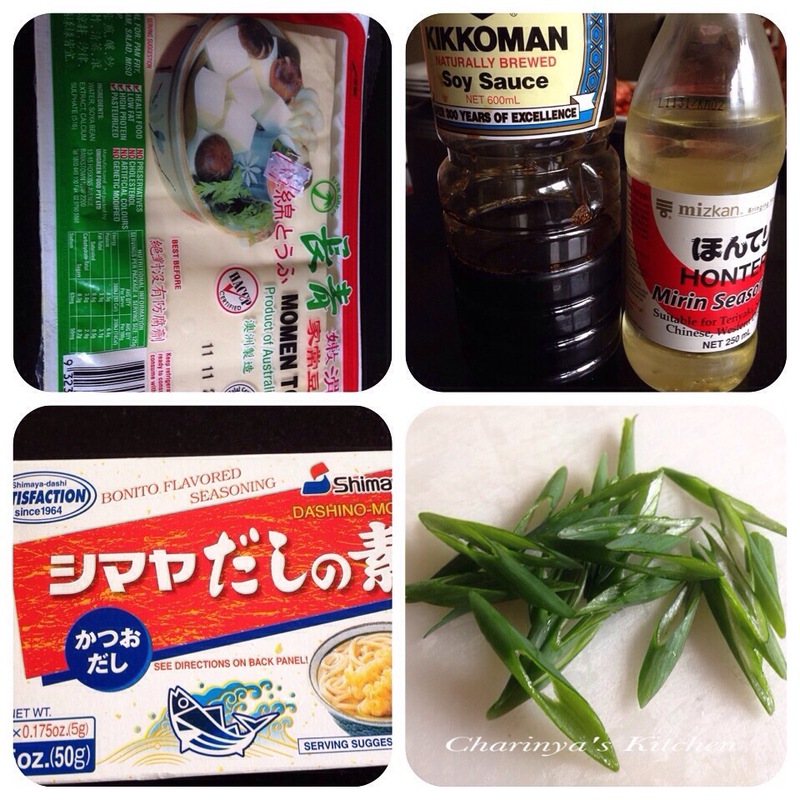 There are not too many ingredients and it is easy to prepare. 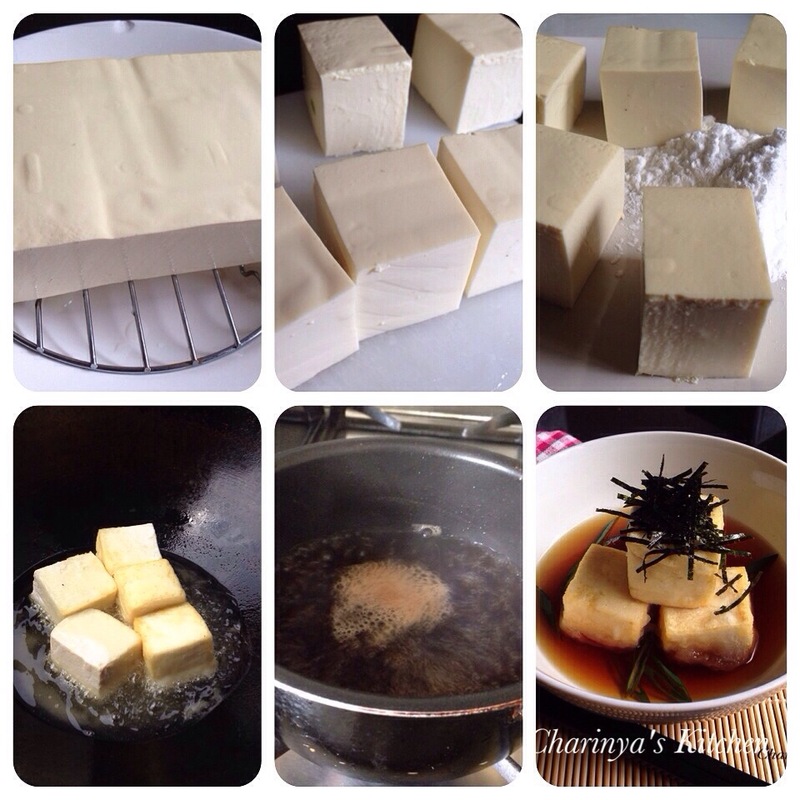 >> Drain the tofu and cut the block into 6-8 pieces, then coat with corn starch and deep fry until golden. >>Make the sauce by combining the ingredients in a small saucepan then bring them to boil. >>To serve, put the tofu into a bowl, top with sauce then chopped spring onions and sliced seaweed.